SIDREA - Società Italiana dei Docenti di Ragioneria e di Economia Aziendale | Related parties disclosure: Is a risk-based approach more effective? Sei in: Home / Blog / Riviste / Financial Reporting / Related parties disclosure: Is a risk-based approach more effective? Related parties disclosure: Is a risk-based approach more effective? Following recent corporate scandals increased attention has been paid to Relat-ed Party Transactions (RPTs), since they have often played a central role in abuses and frauds. Regulators have consequently been obliged to strengthen current regu-lations, introducing new bans and requirements aimed at guaranteeing the substantial and economic fairness of RPTs and a proper level of transparency. This reaction is due to the high inherent risk of these transactions and because companies in crisis tend to resort to this type of operation. In Italy, the regulations on RPTs were completely revamped in 2010. The material RPTs that have to be disclosed through an ad hoc communication were defined by former regulations through qualitative criteria, whereas now a quantitative approach is used in order to reduce subjectivity. The initial results of the new regulations show that a higher number of RPTs has been disclosed to the market, thus improving transparency, but the effects of RPTs remain unreported in Income Statements. Through an online questionnaire this paper, starting from previous research, in-vestigates potential improvements supported by independent directors involved in the RPT evaluation process. These independent Directors are uniquely placed to shed light on the experience of the initial years of application of the new Regula-tion, which may help lawmakers, after the lengthy initial consultation process, in-evitably influenced by divergent (and non-independent) interests without the bene-fit of the hindsight that is now available. It is to be hoped that lawmakers will take note of these results and fine-tune the regulations accordingly, without necessarily abandoning the quantitative approach, in order to increase the transparency of the information made available on RPTs. Keywords: Related party transactions, disclosure, IAS 24, quantitative criteria. Aguilera R.V., Filatotchev I., Gospel H. and Jackson G. (2008), An organizational approach to comparative corporate governance: Costs, contingencies, and complementarity, Organization Science, 19(3), pp. 475-492. Aguilera R.V. and Jackson G. (2003), The cross-national diversity of corporate governance: Dimensions and determinants, Academy of Management Review, 28(3), pp. 447-465. 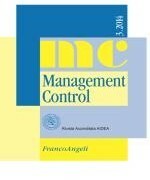 ASSONIME (2011), Analysis of the compliance with the Italian Corporate Governance Code: year 2010, Rome. Bsrth M.E., Beaver W.H. and Landsman W.R. (2001), The relevance of the value relevance literature for financial accounting standard setting: another view, Journal of accounting and economics, 31(1), pp. 77-104. Bava F. and Gromis di Trana M.G. (2015b), Revenues from related parties: a risk factor in the Italian listed company’s financial statements, Corporate Owner-ship & Control, 883. Chen-Wen C. and Chinshun W., Related Party Transactions and Ownership Concentration; Theory and Evidence, — http://www.g-casa.com/conferences/singapore/papers_in_pdf/wed/Chen.pdf. Coase R.H. (1937), The nature of the firm, Economica, 4(16), pp. 386-405. Emshwiller J.R. (2003), Many Companies Report Transactions with Top Officers, Wall Street Journal, December 29, A1. Filatotchev I. and Wright M. (2005), Corporate governance life-cycle. (London: Edward Elgar). Filatotchev I., Toms S. and Wright M. (2006), The firm’s strategic dynamics and corporate governance Life cycle, International Journal of Managerial Finance, 2(4), pp. 256-279. FASB (2008), Original Pronouncements as Amended, Statement of Financial Ac-counting Concepts No. 2. Fooladi M. and Shukor Z.A. (2011), “Corporate Governance and Disclosure of Related Party Transactions”, (march 15), 2nd International Conference on Business and Economic Research (2nd ICBER 2011), Langkawi, Malaysia, 14-16 March. — Available at SSRN: http://ssrn.com/abstract=2259539. Gordon E.A., Henry E. and Palia D. (2004), Related party transactions and corporate governance, Advances in Financial Economics, 9(1), pp. 1-27. Gromis di Trana M. (2014), Le parti correlate nell’economia d’azienda. (Milano: Giuffrè). Healy P.M. and Palepu K.G. (2001), Information asymmetry, corporate disclosure, and the capital markets: A review of the empirical disclosure literature, Journal of Accounting and Economics, 31(1), pp. 405-440. Henry E., Gordon E.A., Reed B.J. and Louwers T.J. (2007). The Role of Related Party Transactions in Fraudulent Financial Reporting, (June). — Available at SSRN: http://ssrn.com/abstract=993532. Hofstede G. (2003), Culture’s consequences: Comparing values, Behaviors, Institutions and organizations across nations. (London: Sage). Hofstede G. (1984), Culture’s consequences: International differences in work-related values. (London: Sage). Holthausen R.W. and Watts R.L. (2001), The relevance of the value-relevance literature for financial accounting standard setting, Journal of accounting and economics, 31(1), pp. 3-75. IFRS Practice statement, Application of Materiality to Financial Statements, October 2015, Comments to be received by 26 February 2016. Institute of chartered accountants in England and Wales. 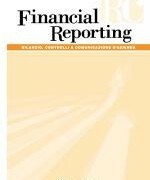 Guidance on materiality in financial reporting by UK entities Guidance on materiality in financial re-porting by UK entities, published in June 2008. Jensen M.C. and Meckling W.H. (1976), Theory of the firm: Managerial behavior, agency costs and ownership structure, Journal of Financial Economics, 3(4), pp. 305-360. Jessop D.C. and Farrar J.H. (2012), Watson S., Related party transactions in New Zealand: an empirical study of a flawed system, Company and Securities Law Journal, 30, pp. 110-142. — https://papers.ssrn.com/sol3/papers.cfm?abstract_id=2026271. Jiang G., Lee C.M. and Yue H. (2010), Tunneling through intercorporate loans: The China experience, Journal of Financial Economics, 98(1), pp. 1-20. Jian M. and Wong T.J. (2003), Earnings management and tunneling through related party transactions: Evidence from Chinese corporate groups (Doctoral dissertation, Hong Kong University of Science and Technology). Kun W. and Xing X. (2005), The Empirical Study on the Institutional Ownership and Resources Expropriation by the Related Parties [J], Nankai Business Re-view, 2, 27-33. Liu Q. and Lu Z.J. (2007), Corporate governance and earnings management in the Chinese listed companies: A tunneling perspective, Journal of Corporate Finance, 13(5), pp. 881-906. Melis A. (2005), Corporate governance failures: To what extent is Parmalat a particularly Italian case?, Corporate Governance Failures, 13(4), pp. 478-488. Neuman W.L. (2000), Social research methods: Qualitative and quantitative approaches (4th ed. ), Needham Heights: Allyn and Bacon. OECD (2004), Principles of Corporate Governance. OECD (2004), Principles of corporate governance. (Paris: OECD Publications). Onesti T. (1995), Fattori ambientali e comportamenti contabili. Analisi comparativa dei sistemi contabili di alcuni paesi industrializzati. (Torino: Giappichelli). Pan T. and Hsiu-Cheng W., A study on the relationship between the policy of banks’ loan interest Rate and Related party transactions. (MA, Taiwan: Department of Finance, National Yunlin University of Science and Technology). Peng W.Q., Wei K.J. and Yang Z. (2011), Tunneling or propping: Evidence from connected transactions in China, Journal of Corporate Finance, 17(2), pp. 306-325. Riyanto Y.E. and Toolsema L.A. (2008), Tunneling and propping: A justification for pyramidal ownership, Journal of Banking & Finance, 32(10), pp. 2178-2187. Swartz M. and Watkins S. (2003), Power failure: The inside story of the collapse of Enron. Crown Business. Thomas C.W. (2002), The rise and fall of Enron. Journal of Accountancy, 193(4), p. 41. Williamson O.E. (1985), The economic institutions of capitalism: Firms, markets, relational contracting (Vol. 866). (New York: Free Press). Wong T.J. and Ming J. (2003), Earnings Management and Tunneling through Related Party Transactions: Evidence from Chinese Corporate Groups, EFA 2003 Annual Conference Paper No. 549. — Available at SSRN: http://ssrn.com/abstract=424888. Yan T. and Huacheng W. (2007), Related Party Transactions, Benefits of Control and Earnings Quality, Accounting Research, 4, p. 010. Yan M. and Xiumei Z. (2006), Research on the Relationship between Earning Management by Related Party Transactions and Listed Company’s Profit being Transferred by Related parties. Accounting Research, 4, p. 005. Yi Lin W., Liu Y.A. and Keng I. (2010), Related party transactions, firm performance and control mechanisms: evidence from Taiwan, International research journal of finance and economics, 35, pp. 82-98. Young B. (2005), Related-Party Transactions: Why They Matter and What Is Disclosed, Corporate Governance Advisor, 13, pp. 1-7. Zengquan L., Zheng S. and Zhiwei W. (2004), Tunneling and Ownership Structure of a Firm: Evidence from Controlling Shareholder’s Embezzlement of Listed Company’s Funds in China, Accounting Research, 12, pp. 3-13.